Filling out the FAFSA can be a straightforward and easy process. FAFSA on the Web (the online FAFSA at www.fafsa.gov) will guide you through the application; click on the “Start A New FAFSA” button on the home page, and just follow the directions on the screen. You’ll need a Federal Student Aid PIN, a personal identification number that allows you to sign your FAFSA electronically. Your PIN also can be used to sign loan contracts and to access certain information online. Guam Community College is a multi-faceted public career and technical education institution that prepares students for progressive employment opportunities in career and technical fields, or transfer to four-year institutions of higher education. To fulfill its mission to be a leader in career and technical workforce development by providing the highest quality education and job training in Micronesia, the College offers secondary and postsecondary programs, adult and continuing education, community education, and short-term specialized industry training. GCC has been continuously accredited since 1979 by the Accrediting Commission for Community and Junior Colleges, Western Association of Schools and Colleges (ACCJC/WASC). The University of Guam is a U.S. accredited, regional Land-Grant institution. It is dedicated to the search for and dissemination of knowledge, wisdom and truth. The University exists to service its learners and the communities of Guam, Micronesia and the neighboring regions of the Pacific and Asia. University of Guam's Educational Talent Search is a federally funded program that serves middles and high school students, who are potential college-bound students. It is also a nation wide program found in the Pacific Islands of Hawaii, and the US mainland. The program helps disadvantage and minority students prepare for postsecondary educational programs. The Common Application is a not-for-profit membership organization that, since its founding over 35 years ago, has been committed to providing reliable services that promote equity, access, and integrity in the college application process. We serve students, member institutions, and secondary schools by providing applications that students and school officials may submit to any of our over 500 members. Membership is open to colleges and universities that promote access by evaluating students using a holistic selection process. ﻿Why take the tests?﻿ Some colleges require or recommend that you take SAT Subject Tests. In addition, you can enhance your application, demonstrate knowledge you’ve gained outside the classroom, and potentially place out of introductory courses. ﻿When's the Best Time to Take the SAT? 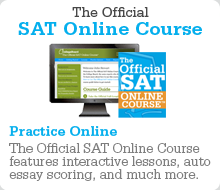 ﻿The SAT and other College Board tests are offered several times a year. Most students take the SAT for the first time during the spring of their junior year and a second time during the fall of their senior year. The ASVAB is a nationally-normed, multi-aptitude test battery that has been provided to high schools and post-secondary schools since 1968.